STIHL pole pruners put high trimming jobs within reach, giving you the power and precision to trim once-inaccessible branches down to size. You may not be able to identify every component of STIHL technology at work, but you’ll feel it in your hands: The balanced weight. The smooth cutting operation. Every integral part working together as you take down limbs – all while standing firmly on the ground. 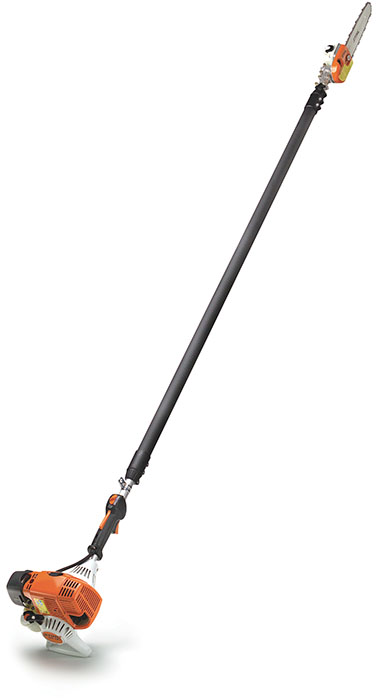 Whether gasoline-powered or powered manually, STIHL pole pruners are easy to operate, easy to carry and easy to maintain. It’s a win/win/win for homeowners and professionals alike.